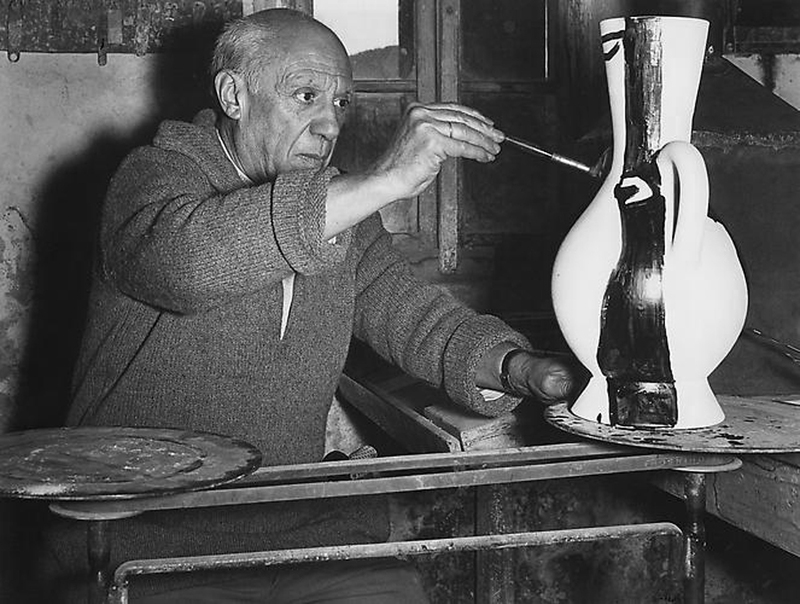 PABLO PICASSO, 1881 – 1973, fell in love with a new creative medium in 1946. he was already 65 years old and was considered as one of the most influental artists of the 20th century, known for co-founding the CUBIST movement together with GEORGES BRAQUE, and responsible for significant more developments in painting, sculpture and printmaking. 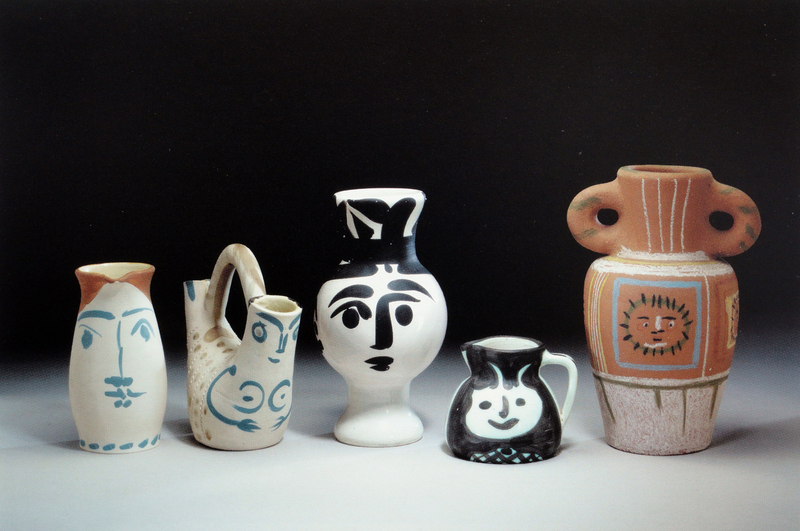 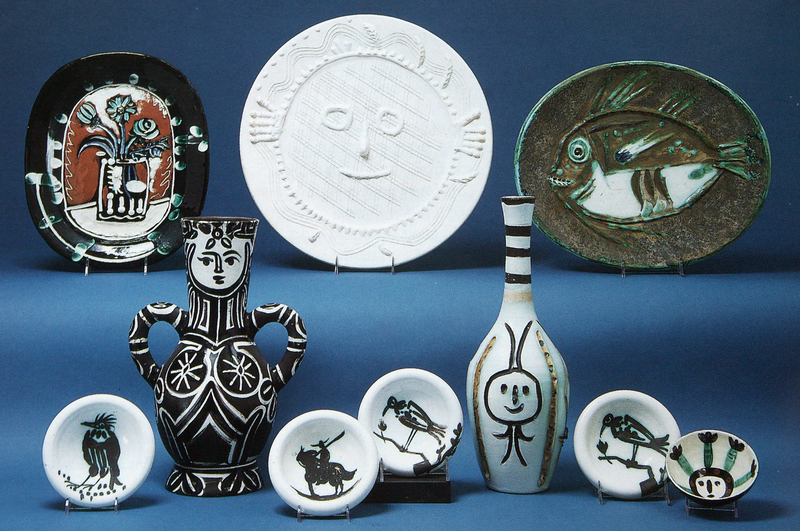 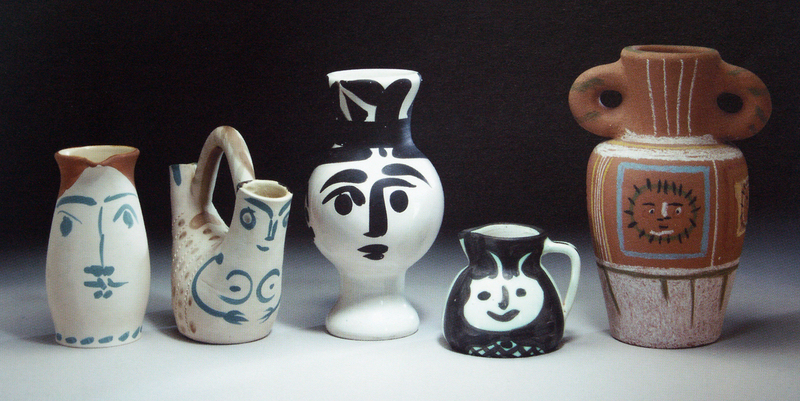 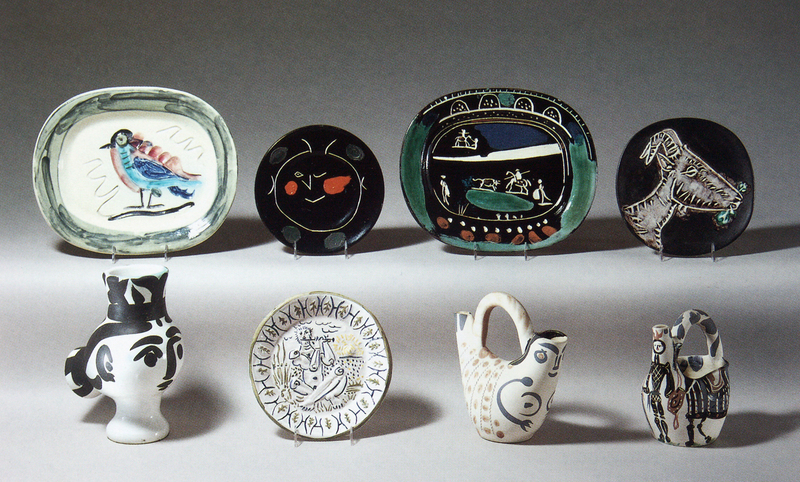 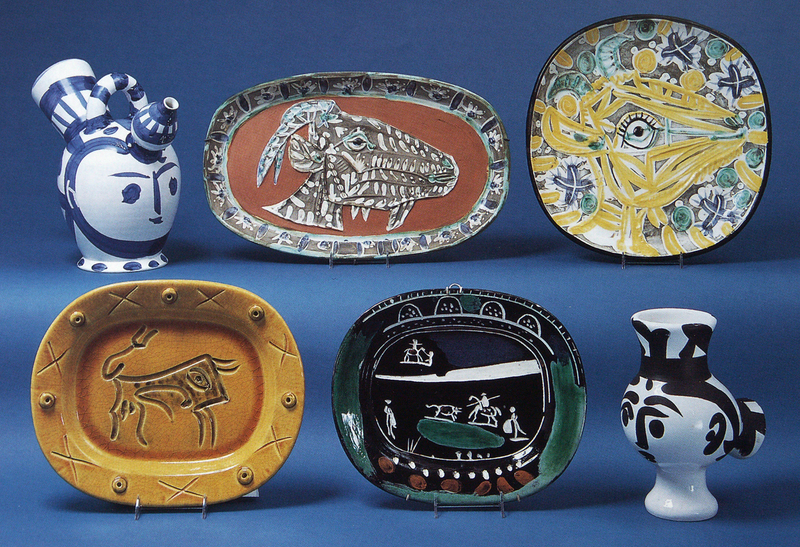 PICASSO’S new love affair was CERAMICS, and lasted until his death. 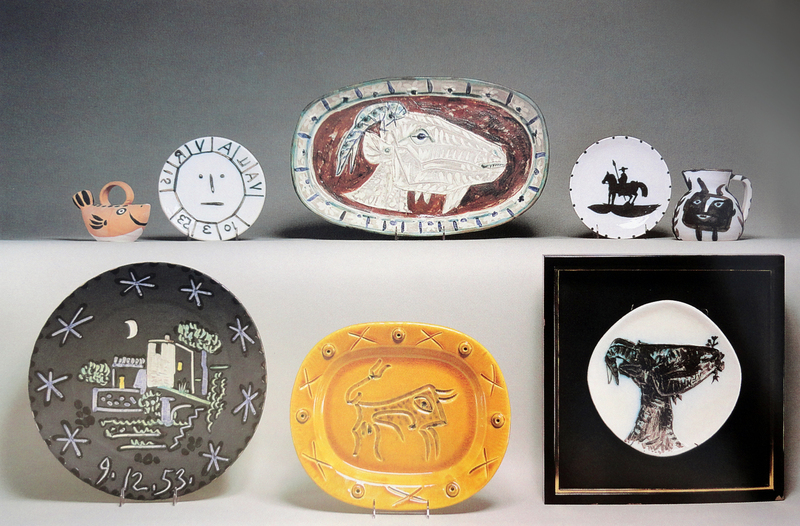 together with the MADOURA studio he created 4.000 different plates, bowls, vases, pitchers and other forms in limited editions ranging from 25 to 500. 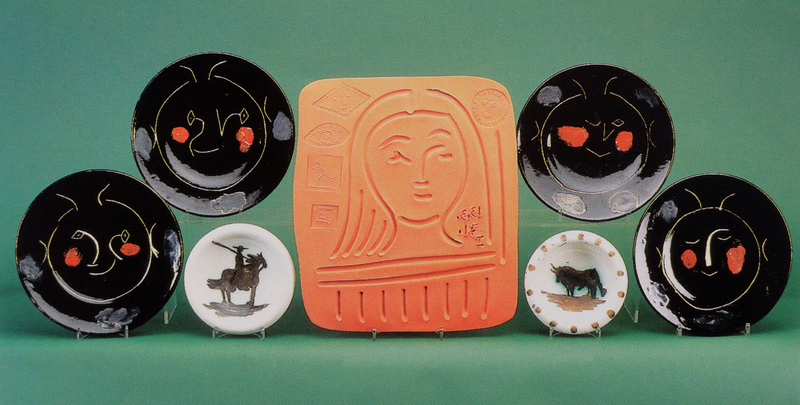 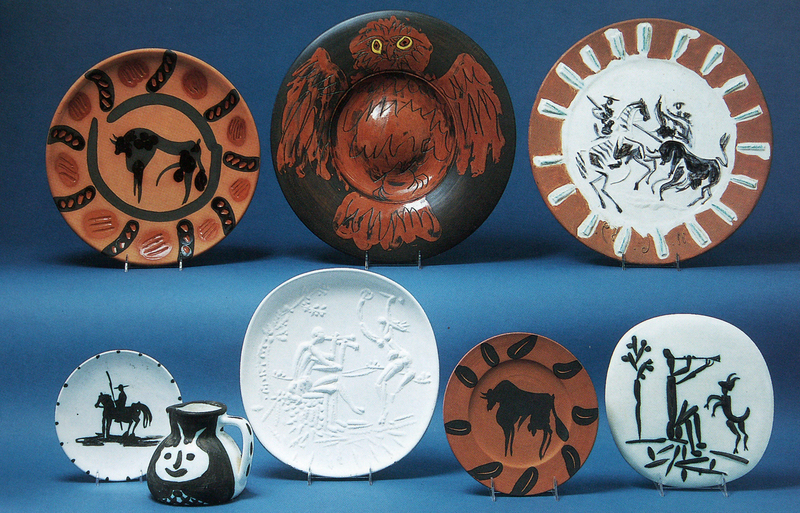 PICASSO was involved in different ways, sometimes creating the clay molds, other times painting on plates or pitchers taken from the drying racks. 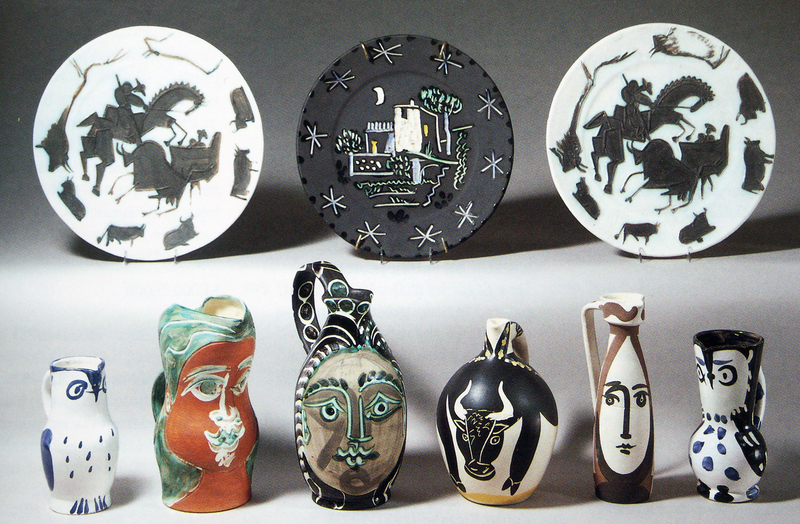 the prototypes were then finished by the MADOURA artisans. 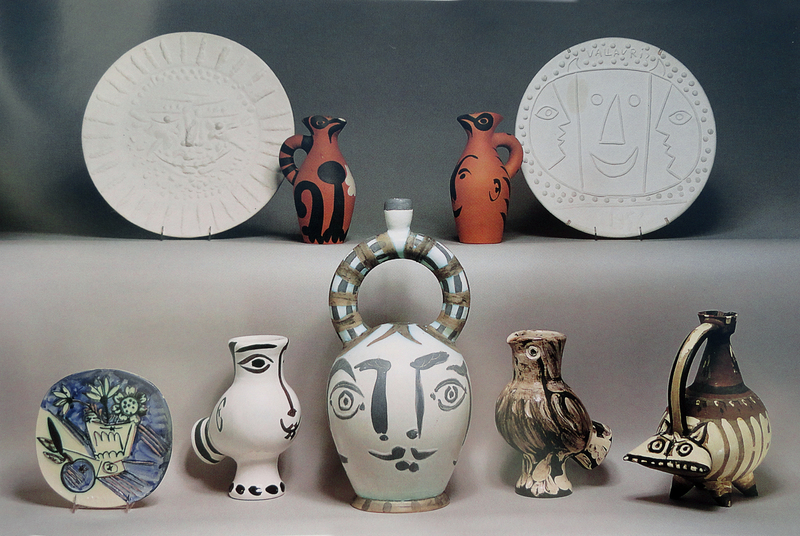 in GEORGES RAMIE’S book PICASSO’S CERAMICS the author states – PICASSO gave himself up to it heart and soul, with that tireless vehemence he brought to everything, the indomitable ardor of those vocations that are all the more fruitful for being slow to appear. 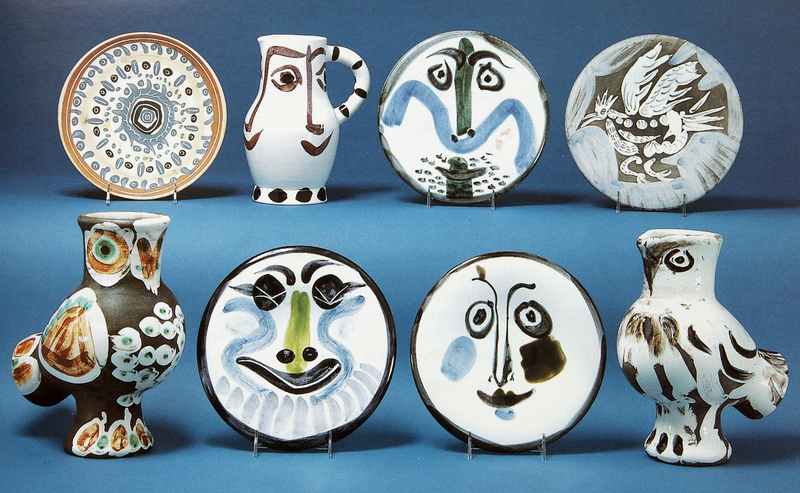 and it was from that moment – and thanks to the prestige of the work PICASSO was yet to do – that ceramics, which many had always considered a minor art, began to enjoy an eminence hitherto unsuspected and now universally admitted. 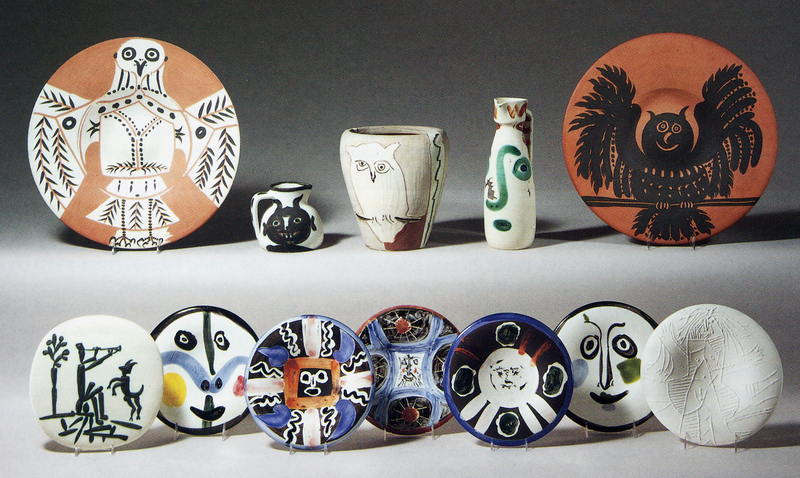 PICASSO had already been amazingly productive as a printmaker, he too enjoyed creating ceramics, producing more than 2.000 pieces just in one year from 1947 to 1948, embodying innovations in form, technique, and the use of colors. 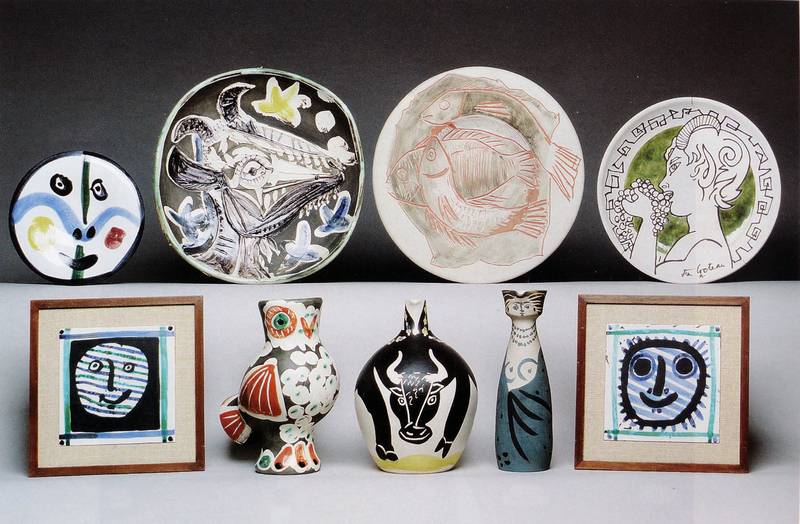 below you can see a small selection of my favorite pieces of his ceramics art.